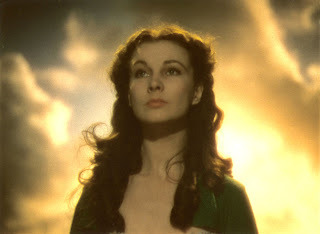 Although renowned for her interpretation of classic stage roles, Vivien Leigh will always be best remembered for two of her film roles—the Civil War–era belle Scarlett O’Hara and the fading southern beauty Blanche DuBois. On November 5, 1913, Leigh was born Vivian Mary Hartley in Darjeeling, India, where her affiuent father worked in a brokerage firm. When Vivian was seven, her family returned to England, and she was enrolled in convent school. The next year, her role as a fairy in a production of A Midsummer Night’s Dream convinced her that she wanted to become an actress. As a teenager, Vivian continued her education in finishing schools throughout Europe. Sophisticated and cultured, she emerged also as a great beauty before enrolling in London’s distinguished Royal Academy of Dramatic Art in 1931. Her career was put on hold in December 1932 after she married Herbert Leigh Holman, a prominent lawyer. The following October, Leigh had her only child, Suzanne. 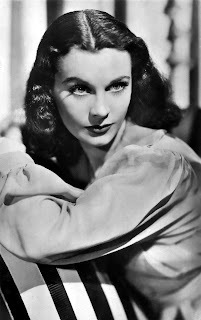 In 1934, she returned to acting, taking the stage name Vivien Leigh. She made her film debut with a one-line role in Things Are Looking Up (1934). The next year, Leigh began appearing in small parts onstage. She had her first starring role in The Mask of Virtue. The play was a failure, but it made her a star overnight. Film producer Alexander Korda signed the ingenue for a five-year contract. Korda cast her in Fire over England (1937). During the filming, she met costar Laurence Olivier, beginning one of film history’s most sensational romances. Their affair was well publicized, as both began seeking a divorce. In 1938, Leigh followed her lover to Los Angeles, where he was to star in a film adaptation of Wuthering Heights (1939). 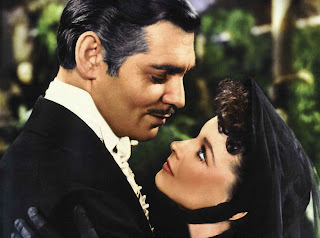 While in Hollywood, Olivier arranged for Leigh to visit the set of Gone With the Wind (1939). Based on Margaret Mitchell’s best-selling novel, the historical spectacle had begun filming, even though the lead role—the conniving and beguiling Scarlett O’Hara—had yet to be cast. Producer David O. Selznick had launched a two-year, $100,000 search to find the perfect actress. He considered more than 2,000 candidates, including nearly every prominent actress in the United States. On the set, Selznick was introduced to Leigh by his brother Myron, who, Hollywood legend has it, pushed her forward, announcing, “I want you to meet Scarlett O’Hara.” After a screen test, Selznick agreed that Leigh was the best choice for the role. Both steely and vulnerable, Leigh’s Scarlett was hailed by moviegoers and critics. Few were surprised when her first American film role won her an Oscar for best Actress. Their divorces granted, Leigh and Olivier married in 1940. Considered the most glamorous couple on both sides of the Atlantic, they appropriately appeared on Broadway playing Romeo and Juliet. With the escalation of World War II, they returned to England, where Olivier joined the Royal Army. During the war years, they made one movie together—That Hamilton Woman (1941), about the ill-fated romance between Lord Admiral Nelson and Lady Emma Hamilton. British prime minister Winston Churchill claimed it was his favorite film. Following the war, Leigh returned to the stage, appearing in many classic roles with the prestigious Old Vic repertory company. She also resumed her movie career, though films such as Caesar and Cleopatra (1946) and Anna Karenina (1948) drew a far smaller audience than Gone With the Wind had. She had greater success with A Streetcar Named Desire (1951), in which she starred opposite Broadway sensation Marlon Brando. Her sensitive portrayal of the fragile Blanche DuBois won her a second Academy Award. Through the early 1950s, Leigh devoted herself to stage work, often appearing with her husband. In 1957, the English government awarded her the knight’s cross of the Legion of Honour for her work. While her professional career remained strong, her personal life began to crumble. Her health began to fail due to tuberculosis, which she had contracted in 1945. Even more devastating, Leigh was suffering from mental illness, often nearing a complete nervous collapse. Her instability was a contributing factor to her divorce from Olivier in 1960. Even without Olivier, Leigh continued to be a star of the stage. In 1963, she had an unexpected success in the musical comedy Tovarich, for which she won a Tony Award. She also appeared in two high-profile films—The Roman Spring of Mrs. Stone (1961) and Ship of Fools (1965)—in which she played desperate older women. While in rehearsal for a London stage production of Edward Albee’s A Delicate Balance, Vivien Leigh died suddenly from tuberculosis on July 8, 1967. That night, the theaters of London’s West End district turned off their lights for an hour to honor her distinguished career. Edwards, Anne. 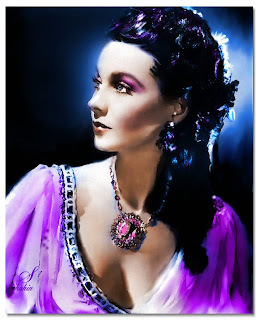 Vivien Leigh: A Biography. New York, Simon & Schuster, 1977. Molt, Cynthia Marylee. 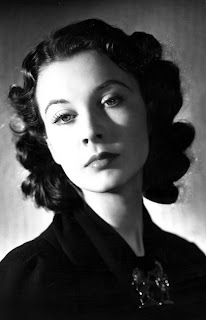 Vivien Leigh: A Bio-Bibliography. Westport, Conn.: Greenwood Press, 1992. Walker, Alexander. 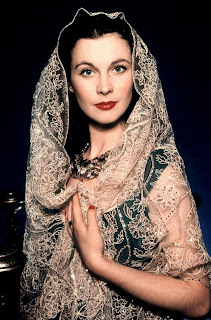 Vivien: The Life of Vivien Leigh. New York: Weidenfeld & Nicolson, 1987. Gone With the Wind (1939). Warner Home Video, DVD/VHS, 2000/2001. The Roman Spring of Mrs. Stone (1961). Warner Home Video, VHS, 1995. A Streetcar Named Desire (1951). Warner Home Video, DVD/VHS, 1997/1996.